The Mate 20 series, initially unveiled by Huawei in March this year at the Grand Palais in Paris, offer substantial specs. Both devices are powered by a 2.4GHz octa-core Kirin 970 chip, that as claimed by Huawei, is the first smartphone chipset to provide a neural processing unit to run artificial intelligence features. The most notable ‘first’ however belongs to the P20 Pro. The Pro variant sports the World’s first Leica triple camera set up that boasts a whopping 40MP RGB sensor, 20MP monochrome shooter and an 8MP sensor with a telephoto lens, for some seriously professional images. It’s no wonder then that the anticipation for the Mate 20 Lite is building. It has now been confirmed that the new variant will be available on Vodafone Red Entertainment Plans, which includes: Amazon Prime Video, Sky Sports Mobile TV, Spotify Premium or a NOW TV Entertainment Pass for the whole duration of a contract. Rumoured specs are a Kirin 7710 processor, 4GB RAM, and 64GB internal memory. Alleged leaked images (pictured) reveal dual cameras and availability in black, gold and blue. Rumours suggest the new model will be a mid-range device, sitting below the Mate 20 and Mate 20 Pro, perhaps offering users the opportunity to purchase from the new flagship range at a lower price. 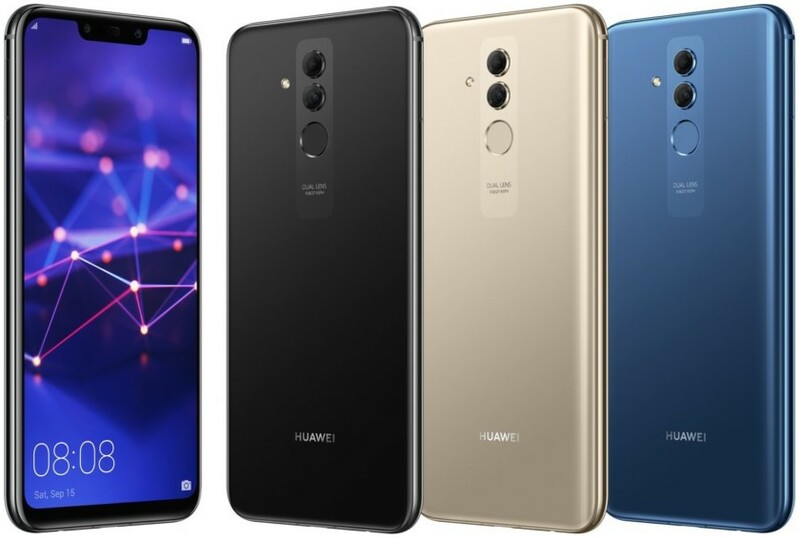 For more updates on the Huawei Mate 20 Lite, check back at the CMM blog.